Description: 7'LONG X 2' WIDE X 36" HIGH FOR SALE. Overall size 7' long x 2' wide x 62.5" high. 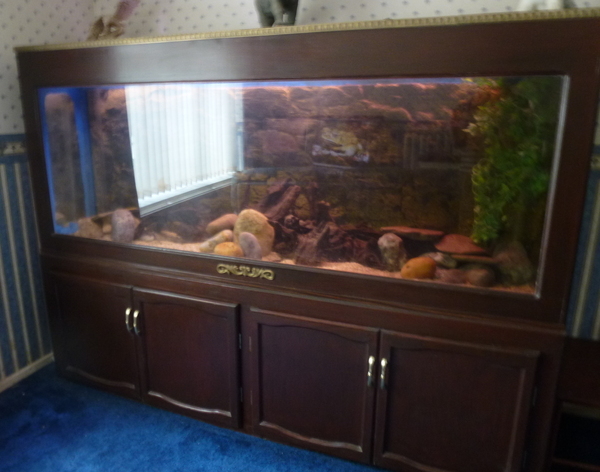 Comes complete with cabinet,sump plus media, circulation pump, heater, lights & décor.